Particle size reduction, or grinding, is a process to produce a polymer powder necessary for a particular industry or technology. This can be accomplished by starting with resin pellets or a powder that is ground to a finer powder. At Ancos, we can achieve a range of desired size distributions to meet specifications, from coarse to fine. Ancos uses liquid nitrogen to chill pellets for maximum friability, creating tailor-made, refined particle sizes with precision. Our size reduction systems allow us to achieve particle sizes tailored for markets including powder coatings, resins, rotational molding, amongst others. Helping customers looking to grow their presence in the rotational molding market. Grinding is utilized for many purposes, but is largely dictated by its end application. Minerals, catalysts, metals and resins are ground to increase their surface area often for increased reaction rates, or for creating homogeneous blending materials. In general, properties and uniformity are increased with finer particle sizes. Some materials are ideal for fine size reductions while others are not. The suitability depends on the friability of the materials. Highly friable materials are generally more brittle than materials with a diminished friability. Materials that are more brittle will tend to reduce in size better than those that are not. Most commercial plastic resins, by definition, tend to be tough. To make these amenable to the size reduction process, resins are cooled well below their glass transition temperature where their moduli increase and the strain prior to breakage decreases (known as ultimate strength). Reduction in the ultimate strain to breakage results in more friable materials that lend themselves to size reduction. Cryogenic grinding involves the use of liquid nitrogen to chill pellets in advance of the grinding process. Once cooled, the pellets proceed through a mechanical mill. The use of liquid nitrogen to chill the pellets enables more effective size reduction. Cryogenic grinding can be mechanically difficult, requiring expertise to manage moisture, clumping and other important quality elements. Some polymers require the use of cryogenic grinding in order to reduce the particle size. Given certain polymer properties, some materials do not behave in a way that is necessary to achieve desired particle size reduction results without being chilled. For example, crystalline materials would melt from the friction of the grinding process if they were not cooled prior to entering the mill. Other materials may oxidize and discolor, some may flow (thermoplastic deformation) in the neighborhood of the glass transition temperature and other moisture sensitive materials could plasticize. The chilling of the pellets also makes them more brittle which supports both a more efficient grinding process and a better quality powder. In addition, cryogenic grinding enables size reduction of the pellets without adding any additional heat history above ambient temperatures to the polymer. This is beneficial for some polymers and also can enhance the color of the final product. Ancos is the only toller focused on the engineered plastic sector that combines grinding and drying capabilities. Many materials that Ancos grinds, such as Nylon for example, have hygroscopic properties (attract water) and require the removal of moisture (and other volatiles) to very low levels after the grinding is complete. Ancos utilizes it’s large scale dryers and polymer expertise to dry powders to stringent moisture specifications without compromising the integrity of the product. No other toller has the drying capabilities in house as well as the extensive know-how needed to offer cryogenic grinding and drying at the same location. Other options that require grinding and drying in separate locations increase the risk that moisture specifications are compromised and add additional quality challenges. In addition, Ancos is able to provide cost savings and supply chain optimization to our customers by utilizing one toller to grind, dry and then package products. Reducing particle size can drive a wide variety of benefits to our customers, which often vary by end market. Overall, the grinding process produces a powder and thus more surface area on the product. This reduces heat transfer rates and causes the material to melt more uniformly which is beneficial to markets such as rotational molding and compounding. Additionally, ground powders are often used as additives, as part of a master batch or for creating a final product. Such additives can be used in compounding, dry blending to coat pellets or numerous other uses. Additional benefits to grinding pellets to powder can include enhanced flowability, improved uniformity, de-lumping, improved dissolution rate and alteration of the bulk density of the product. Beyond virgin polymers, grinding can be used to create value by recovering postindustrial materials. Grinding postindustrial or downgraded material to a powder can enable product to be re-introduced or mixed with a virgin polymer in production or polymerization. This effectively upgrades the postindustrial material and increases the overall value of the product. Ancos has historically supported customers grinding needs for a wide variety of end markets. If you have a need for polymer particle size reduction, we most likely have the experience and expertise needed to process your material. Grinding polymers provides numerous different benefits depending on the end market. Rotational molding – Grinding reduces the particle size to facilitate the rotational molding process. Additionally, well ground material has the potential to improve overall cycle times due to enhanced melt temperature. The smaller particle sizes also supports more detailed molding and can reduce the number of defective parts. Carrier resins – Ground powder allows for better dispersion of product. The reduction in time required to adjust processes enables higher throughput in the continuous production process. Grinding also can reduce the loss of pigment in the production process as part of the overall yield improvement. Industrial Coatings – Ground polymer is required to enable the coating process on a metal or plastic part. In addition, well ground powder enables fine tune molding for irregular shaped parts. Chemical manufacturing – Grinding can reduce additives to achieve a higher value particle size for certain end markets. Compounding – Compounders can use ground powders to achieve improved dispersion and thus improved production rates and higher yields. Additionally, powders enable additives to be melt into the compounding process more quickly and achieve improved mixing. Film manufacturing – Ground additives support enhanced color properties. In addition, they support improved throughput in the film manufacturing process by facilitating multiple layers of different polymers. Fiber manufacturing – Powders allow for additives to be added to the manufacturing process at high speeds and also support ability to add numerous other additives such as color, UV stabilizers, Heat stabilizers, etc. Ancos has 20+ years of polymer particle size reduction experience. We are a unique toll grinder in that we only focus on processing polymers and not a wide variety of other materials. Our polymer focus and expertise as a company, combined with our extensive experience in grinding, gives us an unmatched understanding of your needs and product properties. Our dedicated polymer product development team and PhD expertise has deep experience in working with customers to support new product development, research and development, and scaling of commercial production. We have worked with a wide range of polymers, co-polymers and elastomeric materials and are available to consult with you on different particle size reduction needs. In addition, we are capable of handling moisture sensitive products. Ancos’ full suite of polymer services provides enhanced cost savings for some customers that are looking to achieve multiple objectives. In one site, we are able to dry to specifications below 1000ppm moisture levels after grinding to a powder or solid stating pellets prior to grinding. Ancos can support a wide range of your polymer grinding needs. We offer both cryogenic and non-cryogenic milling using mechanical mills. In addition, we offer jet milling (provided by our sister company Jet Pulverizer, Inc.) on materials that are friable at room temperature to achieve an even smaller particle size. 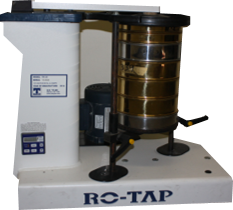 To support all grinding needs, we offer a full range of classifying, including sieving / screening and other methods to ensure the process meets your end particle size specification. We are able to grind material that comes in a variety of sizes and states as feedstock. We have successfully handled materials ranging from all basic pellets to small clumps, chunks, coarse powder, medium powder to fine or very fine sizes. Desired size ranges for grinding often vary by end use application. We use a combination of various milling parameters and classification, including our full set of screening capabilities and screen sizes to ensure your desired particle size meets specifications. To be specific, using our mechanical mills, we can achieve particle sizes ranging from ~200-1000µ, or 80 to 18 U.S. mesh respectively. With our jet milling capability (provided by our sister company Jet Pulverizer, Inc.), we can achieve average particle sizes from 0.3-15µ. In addition to particle size reduction, Ancos offers a full set of capabilities tied to polymer enhancement processes and material handling. Ancos has been an expert in the polymer industry for over 30 years. If your product requires additional modifications such as drying or solid stating, we can complete those services along with grinding. Ancos also provides full material handling services for polymers including de-metalizing, re-packaging material into all forms of packaging including drums, Gaylord boxes, super sacks up to sea bulk containers or rail cars. To support our grinding business, Ancos offers a full suite of screening and classifying capabilities. Different classifying and screening methods can be appropriate depending on the product properties and particle size. Ancos will work with you to identify the ideal approach for your product specifications. We offer flat gyratory, roto-sifting and reciprocating screening options all paired with a full portfolio of screen sizes, among other classifying techniques. In addition, Ancos’ capabilities and screening options enables us to often provide options that can both meet your particle size distribution requirements but also improve the cost position to achieve your desired outcome. Ancos can support any size grinding project, from small pilot scale initiatives to full commercial orders. We have assets and experience to support product development or R&D initiatives. Our development team is solely focused on polymers and our in-house PhD expertise can support your trial requirements. Once you have developed the product, or if you are simply looking for additional capacity, we can handle multiple truckload volumes at any time. To support our particle size reduction services, Ancos has analytical capabilities to ensure we are delivering our customers quality needs. Many plastic materials can be reduced including nylons, polyesters, polyester copolymers, polyethylene (HDPE, LDPE, LLDPE), polypropylene, polyvinyl chloride (PVC), elastomers, rubbers, thermoplastic elastomers, fluoropolymers, etc. Resins can either be compounded or neat. Ancos has experience grinding the following polymers. If you have a requirement for particle size reduction of a polymer not included in this list, please reach out, as we most likely are able to support your needs. Ancos regularly handles polymers in all types of packaging. We are able to receive inbound feedstock in any packaging form, and typically package outbound product after grinding in drums, Gaylord boxes and select types of bags. Quality is the top priority at Ancos. We view ourselves as an extension of our customers’ supply chain, and ensure we deliver the level of quality at or above what would be expected of your internal processes. Ancos is ISO 9001:2008 certified. We have full set of testing capabilities and quality processes to ensure your product is processed at the highest level of quality.